It is an asteroid generator, with a set of generated asteroids,(nine) for if you can't run it, for instance. It uses povray and is inspired by this blogpost. If you can't run it, and just want a few more, they can be generated and mailed. There are a bunch of variables, but of course, you can also just change the code if you want something more than the variables provide. The variables are stored in `the_png.png.info` files. Attribution appreciated, but not necessary. thanks for your asteroids, they look really great! 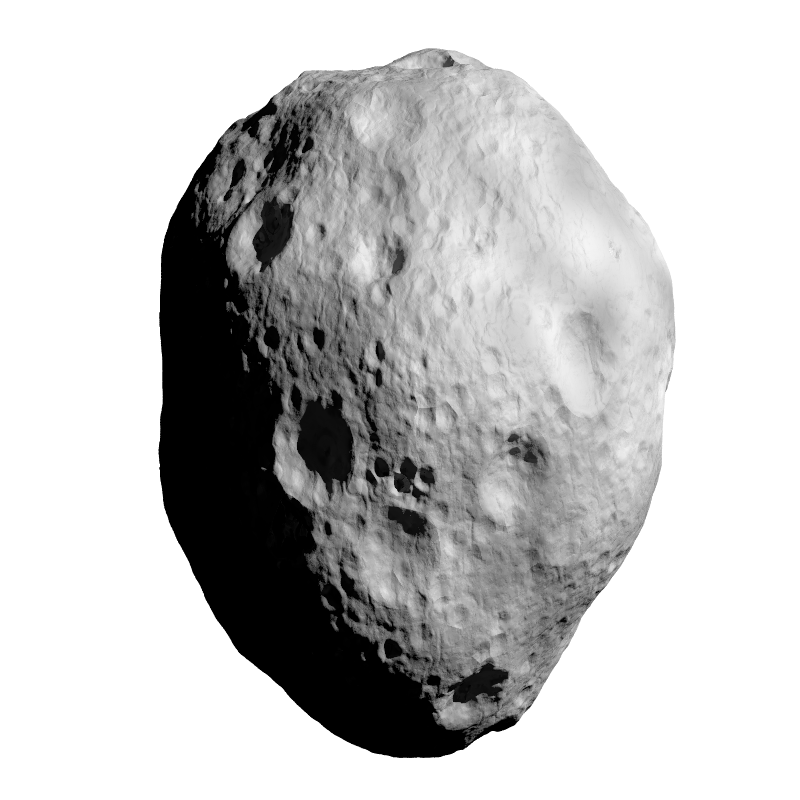 Do you think it is possible to output the asteroids with a more generic lighting and with the (normal) bump map also? 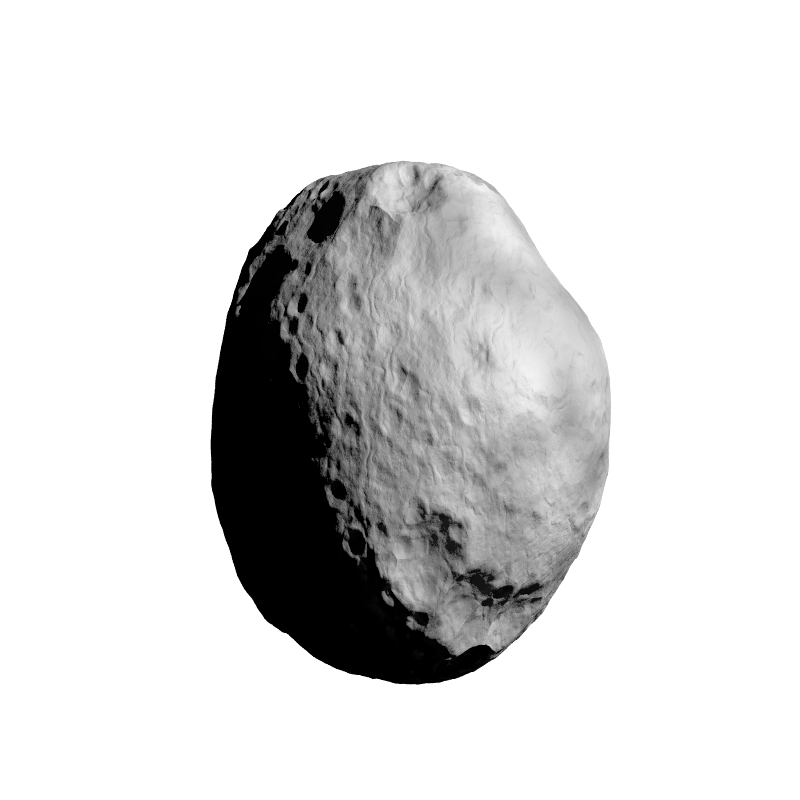 The goal would be to simulate a 3D effect while rotating the asteroids in a game. 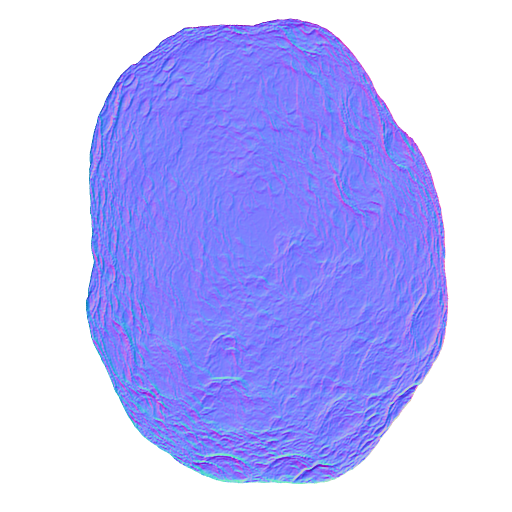 I tried it with a more generic light source in the pov script and a plugin for GIMP to retrieve the normal map, but the result doesn't look very good.